Believe it or not, uncanny and supernatural activities happen just about everywhere and Goa is no exception. Rather, with so much history under its belt, it’s no wonder there are spots in the Indian state that will give you heebie-jeebies and make the skin crawl. Here are some of the most allegedly haunted spots to avoid. Connecting Navelim and Drampur, Jakni Bandh is a temporary bridge with a traumatic and hair-raising supernatural past. This spot is haunted by the screams and cries of children who died in a road accident on this very bridge. There was a school bus full of children and a few passengers, that toppled and everyone on the bus died. And their screams and cries have haunted this bridge ever since. Who would have thought that a place of worship would witness a paranormal activity? 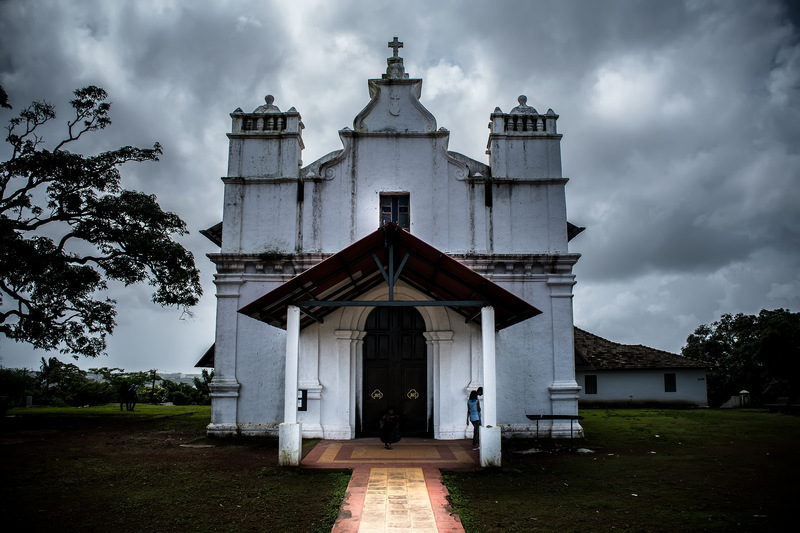 Well, located in Cansaulim Village, the Three Kings’ Church is one of major haunted spots in Goa. They say greed is your worst enemy, and it stands true to this place. This church is haunted by a spirit of three kings who were buried under the church. According to the story, the three kings who ruled the area always kept on fighting with each other for power to rule the entire kingdom. Eventually, one of them killed the other two and shortly after, he committed suicide in the wake of public outrage. The local residents and visitors have sensed paranormal disturbances after sunset. Certain people have claimed to hear the whispers from the church corridors late at night. Scary enough, eh? Located on the banks of Zuari River, Rachol is a village where there is an arch that leads to the seminary. This arch is said to be haunted. As per local folklore, there is a spirit of a soldier dating back to the Portuguese era, under the arch, who keeps watch on people and denies entry to those who he considers not worthy of a pass. Apparently, the sentinel is still not ready to leave his guard post, so haunts the area even today. Igorchem Bandh is a long stretch of road located in Raia village, right behind the Church of Our Lady of Snows. It is said to be haunted, even during the daytime, by an evil spirit that torments people who walk on this road. This evil apparition is said to have created fear among the people to such an extent that now nobody passes through it, particularly during 2pm-3pm. Quite frightening, isn’t it? Although a quite picturesque drive, the very famous national highway is considered to be a haunted spot. People who travel past this highway have witnessed the hungry ghosts and witches who wander post sunset for dead meat and non-vegetarian food. Past midnight, the eerie happening increases. Borim Bridge is an absolutely horrid bridge. This bridge was constructed during the Portuguese era and has a spooky story linked to it. Travellers vouch for seeing a lady ghost at late hours of the night. It is believed that a woman runs on the bridge and as you come closer, she jumps off into the river. And when you stop to check and help her out, there is no one. This tale gets spookier! When you return back to the car, there she is, in your back seat. Though she doesn’t harm anyone, she is still an apparition to be afraid of! Best, avoid it! 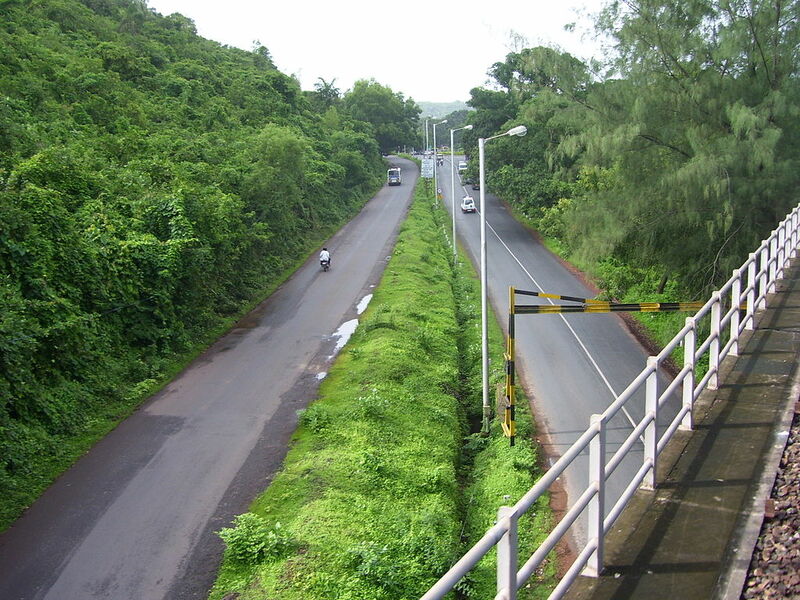 The Baytakhol is another haunted road in Goa that lies between Bori and Dhavali. Drivers and other travellers have reported of sighting a female figure standing in the middle of the road and screaming at the top of her lungs when the vehicles approach her. And, when the vehicle stops, she’d disappeared! Beware, if you look back to see what the sound was, you’re bound to lose control of the wheel as there is no one behind, thus leaving you in a state of shock. This female figure has caused numerous fatal accidents on this road. It’s advisable not to stop or look back. If you believe the folklore, the banyan tree in Saligao Village is haunted and known for its lady ghost sighting. The spirit of a lady named ‘Christalina’ hangs around the tree and whoever gets near the tree, Christalina gets him/her. The lore tells the story of a church bishop who was passing this village and fainted while seeing the ghostly figure. Next morning, he woke up screaming her name. And ever since then, locals keep a distance from it, especially at night. Located in South Goa, D’Mello House has an air of unpleasant and eerie sensation linked with it. D’Mello House is supposed to be haunted by the spirit of the dead brother. Locals have claimed to hear blood-curdling screams and shrieking sounds from this house. The story behind this strange activity is about two brothers who lived here and constantly bickered over property. Furthermore, the quarrel escalated and resulted in the death of one of the brothers. And since then, strange sounds have been experienced time and again from this house. Located in Verna, North Goa, the Rodrigues Home is beautiful from outside, but appearances can be deceiving. 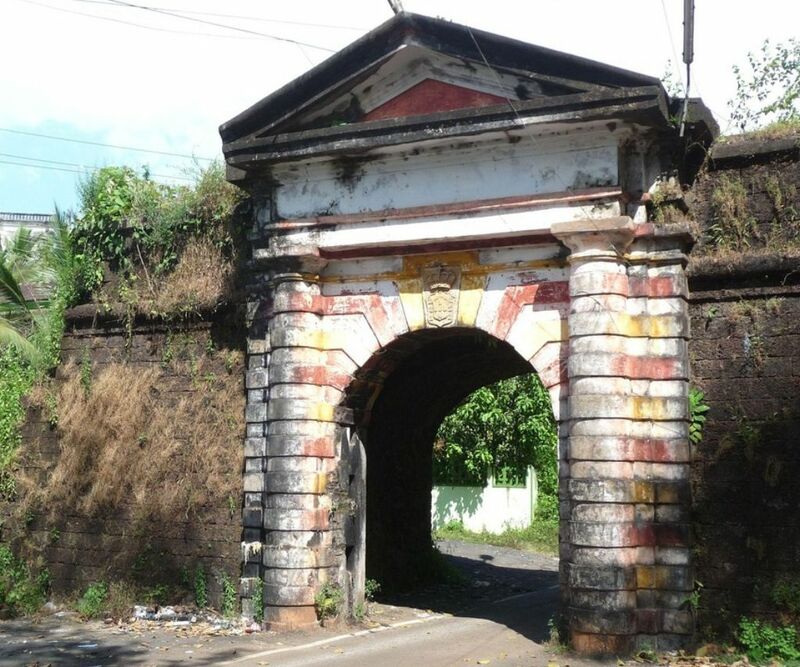 The Rodrigues Home is said to be a haunted spot in Goa and the Rodrigues family still stays here. People have witnessed spooky things like rattling doors, windows and doors opening and shutting at their own will, lights turning on and off, and linen going missing at midnight. Interestingly, these weird activities happen any time of the day. Mysterious happenings and strange noises – you sure should avoid this house when in Goa!